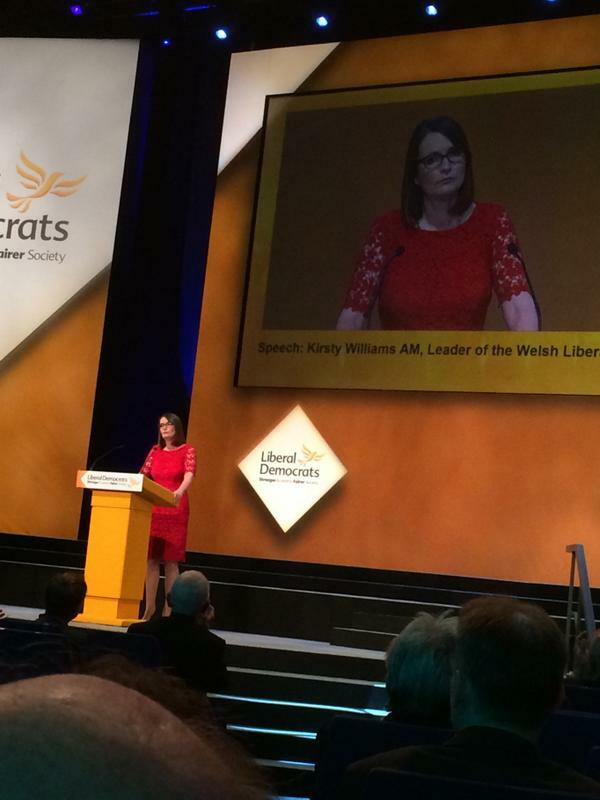 The leader of the Welsh Liberal Democrats, Kirsty Williams, has played down talk of her moving to Westminster to become an MP, after her conference speech earned rave reviews. She was even touted as a potential successor to Nick Clegg and leader of the party, by impressed political journalists. Her speech yesterday, in which she called for a 'proper' Welsh parliament, was greeted with a standing ovation at the party conference in Glasgow. She spoke to our Political Editor Adrian Masters after the speech, for last night's Sharp End programme, and said she was "absolutely ruling out" becoming an MP in the near future. "The National Assembly for Wales should never be seen as a training ground for politicians who want to go to Westminster. I want to see power taken out of Westminster, brought to Wales - and, if I want that, why on earth would I want to go to Westminster?"